Dinner at Au Passage in Paris. 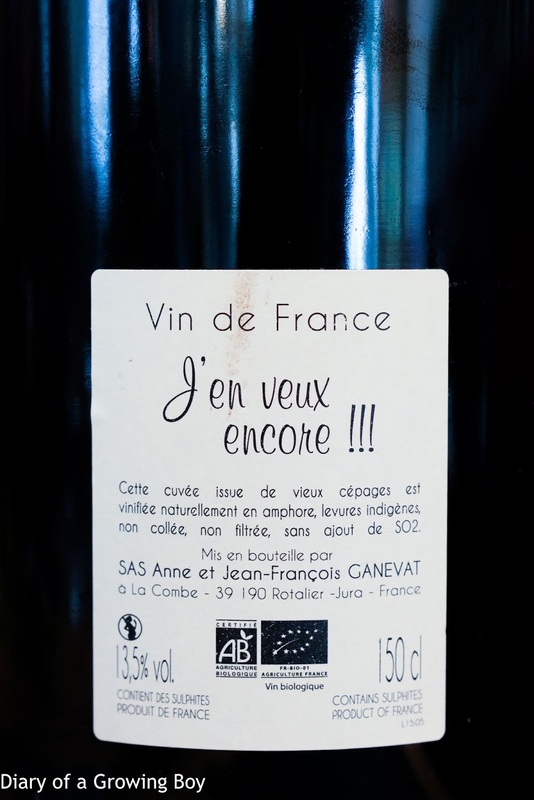 2015 Anne et Jean-François Ganevat J'en Veux Encore, en magnum - pretty light on the palate, with smoky and leather notes on the nose. Served far too warm.